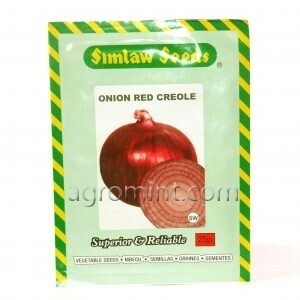 Red Creole Onion (Allium cepa) is a short day onion with hard, mid-sized, flat bulbs and spicy purple- red flesh. The flavour is pleasantly pungent. 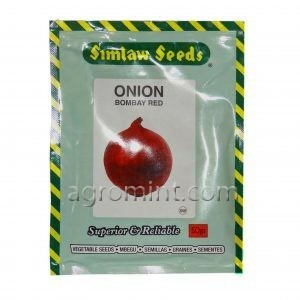 Yields a good cooking onion and perfect for salads and sandwiches. It adapts well, easy to grow, very good yield and excellent for storing. Nutrients include dietary fiber, vitamins C, B6, folate and calcium. An outstanding variety with a strong top , very nice long white shaft, a strong root system with good tolerance to heat ,fusarium basal rot and pink root. 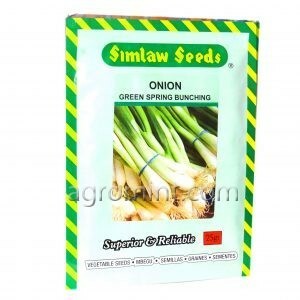 It has a mild, sweet flavour and is strongly reminiscent to the scallion or welsh onion. They are very easy to grow from seed and needs minimal space . This versatile crop will grow from cold, wet regions through to hot tropical areas and can be harvested at any point of growth. The leaves can be snipped for use in salads or the whole plant can be pulled up. Excellent taste and perfect for bunching. It is suitable for dry and warm conditions, with wide acceptance in home gardens,and markets. Bulbs are medium-large, semi round in shape and deep purple- red in color. Flesh is firm and very pungent. Medium-late maturity. Excellent shelf life and transportability.